This story is not a happy one. But, I needed to feature it, because working with a rescue doesn't always have happy tales to tell. We got Winky in January, with two other mini-donkeys. The three were good friends and were very nice as well. Winky came to us foundered and with a sinus infection. 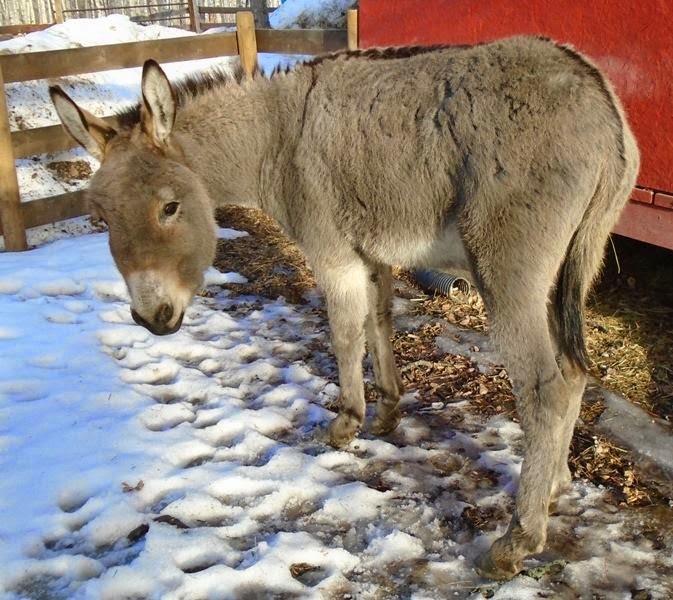 When a horse or donkey founder, their feet are affected and it can cause a decline in their general health as well. One always hopes that, when an animal comes in sick that they can and will get better. Winky never did. On February 20th, he only ended up getting worse, and by February 21st, he had passed away. He passed away in the warmth of the barn, and with his two best friends by his side. So he did have peace in the end, and died in safety and with dignity. 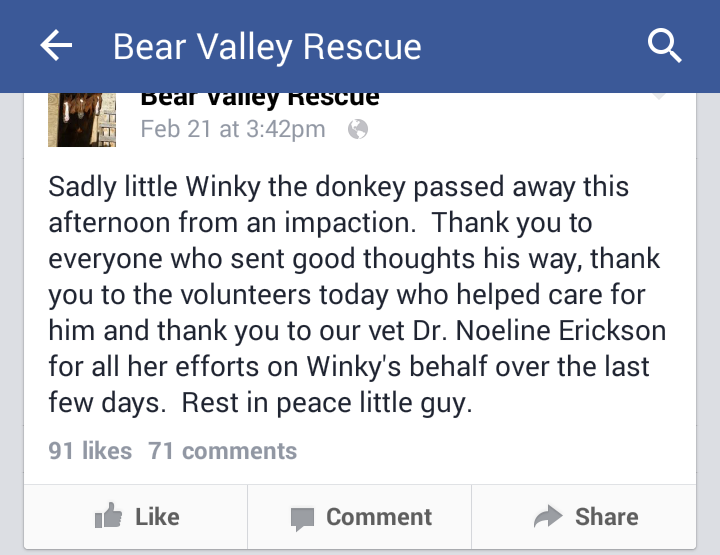 Please help with the continued care of animals like Winky, and his friends.